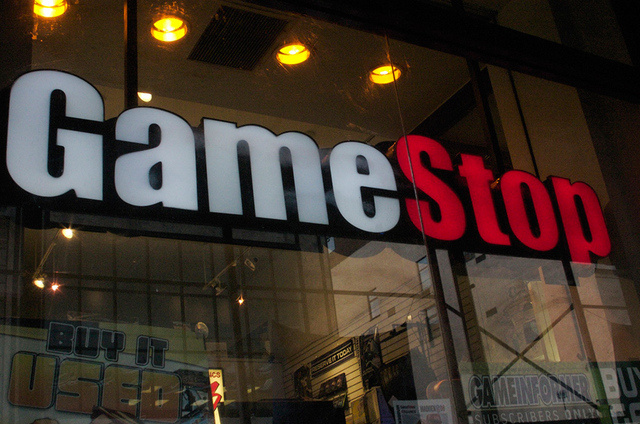 How Did GameStop's 500,000 Wii U Reservations Become 320,000 Actual Sales? Before the Wii U launched, US outlet GameStop proudly stated that half a million people were on its waiting list for the shiny new console. 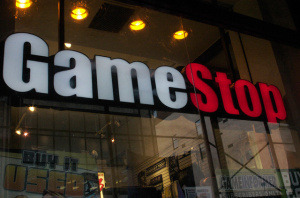 However, speaking to investors last week, GameStop admitted that only 320,000 consoles were actually sold by the chain - which means 180,000 "orders" essentially vanished into thin air, right? Our initial allocation from Nintendo was not 500,000 units. We never disclosed that number; we only stated that we had reserved thru those units in the first 48 hours of them being offered. One thing to consider about the people who signed up for our waiting list is that they had no financial commitment to do so. So it is possible that they purchased their Wii U from another retailer. Or they could have decided in the end that the machine wasn't for them - pretty standard stuff when you're dealing with pre-orders which aren't underpinned by a financial commitment, such as a deposit. In Canada EBGames (same company as GameStop) has buggered me around many times. Here though you are required not only to put down a deposit, but the entire cost including taxes up front. That considered, even though I bought the Dead Space 2 Collectors on pre-order, they only had 4 to fill their 7 FULLY PAID FOR pre-orders. If a company can't even satisfy the customers that have already given them money months in advance, how are they supposed to follow through without any money at all. Someone explain to that man what a pre-order is. There is a difference between putting down money for an order and saying you're interested. I got on that waiting l list because there was no other option, but thankfully got one at Best Buy at a midnight loss. Anytime you can avoid buying anything from Gamestop, you have to do it! This is Kotaku doing their usual business of agitating spirits. At Gamestop we don't lie, we just proactively celebrate our success. I bought two from GameStop. Was a pretty pleasant experience just like most of my interactions with them. I'm one of the 180,000. I pre-ordered a Wii U through Gamestop but then cancelled it. Bought one at Target in December. They just need to stop talking about Wii U, if you look at sales data it already more than 2.50m units. How GameStop is so important, if they had a so little part in the sales? One answers: gaming journalism = attack Nintendo. Nintendo does only gaming, Microsoft has lots of profits, Sony has lots of profits. Everything that Nintendo sells makes them double profit because they do only that, gaming. Journalism will always be useless until this is accepted: you can't compare Nintendo with Sony and Microsoft it's like comparing apples to potatos. "One thing to consider about the people who signed up for our waiting list is that they had no financial commitment to do so. So it is possible that they purchased their Wii U from another retailer." So basically GS lied, misspoke, misremembered, twisted the truth? I don't think I can fault their mouthpiece for saying they had 500,000 preorders when they actually had 320,000 preorders and 180,000 people on a waiting list. I don't think the SEC will be investigating what a "spokesperson" said to Kotaku during an interview. Let he or she who has never at any point even once in their life exaggerated cast the first stone. I'm not a huge GS fan, but I'm not gullible enough to always believe what people say either. The only thing I can up with is that Gamestop is twisting what they said, confused about reserves and wishlist, or people cancel their pre-orders to buy it some place else that have it in-stock. The wishlist (as opposed to a guaranteed first come first served preorder system) was bad enough, but trying to pass the combined number of "interest" as preorders is just odd. Nintendo would know you didn't get that many systems and who knows how much business you loss by not enacting some sort of commitment. I know the old days of game stores weren't glorious, but it's still sad that you're the one who won out. Yeah, I remember it being "half a million people on the waiting list" rather than 500,000 pre-orders. Not sure what you guys are all talking about. Yeah, I was on the waiting list, but I just went and bought it somewhere else (Walmart) on launch day. Because Gamestop soaked up their pre-orders it was the last place on earth to try and find one on launch day. Pretty simple math. Typical Gamestop lies and people wonder why I dont shop there. That is completely false. I had a total of 5 systems reserved for friends and family. They later called me and said to come pick up a card with $150 trade in credit on it because they were cancelling 3 of my preorders. Apparently their policy changed so it was ok for them to cancel those orders without a cash refund without notifying me first. I signed up for the wait list at Gamestop but didn't buy my Wii U there. I bought it online from Shopko. Also, the last two times I went to Gamestop to pick up a Wii U game they didn't have it in stock. Sonic Transformed and Darksiders II are two of the biggest release titles for the system and they couldn't be bothered to order more copies when they ran out. Pathetic. Went to Gamestop in September, said if I reserved I would get my Wii U in February or more likely March. Purchased my Wii U at Target on release day. Later the same month saw Wii U's in stock at Gamestop. So basically, they screwed themselves out of a sale.